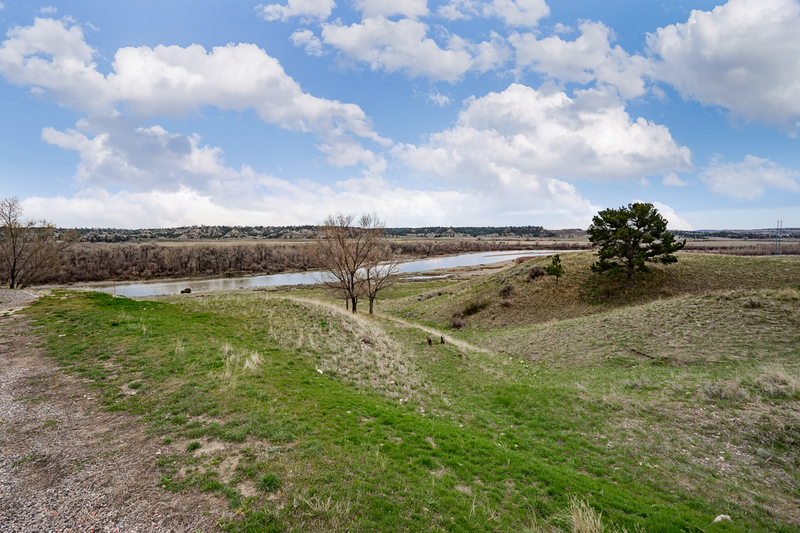 LOCATION: Only forty-five minutes East of Billings, Montana, on I-94 is the small community of Custer, MT. 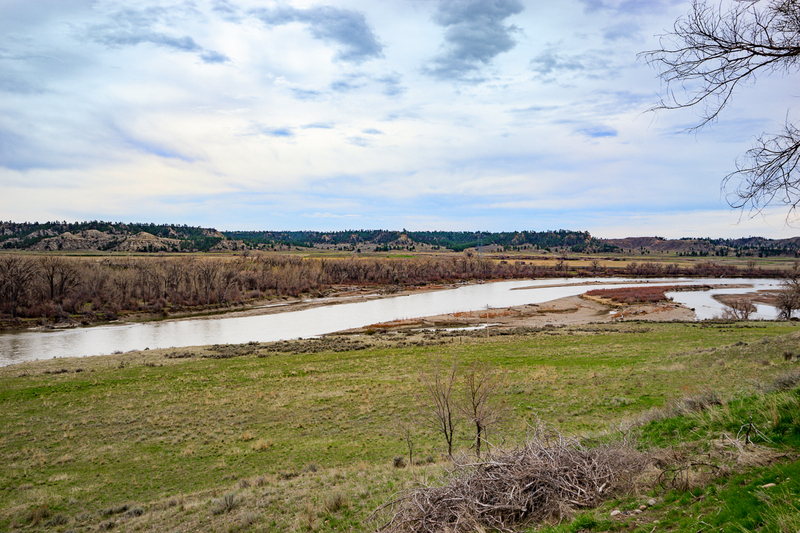 “Buffalo Creek” is located six miles northwest of Custer on the north shore of the Yellowstone River. 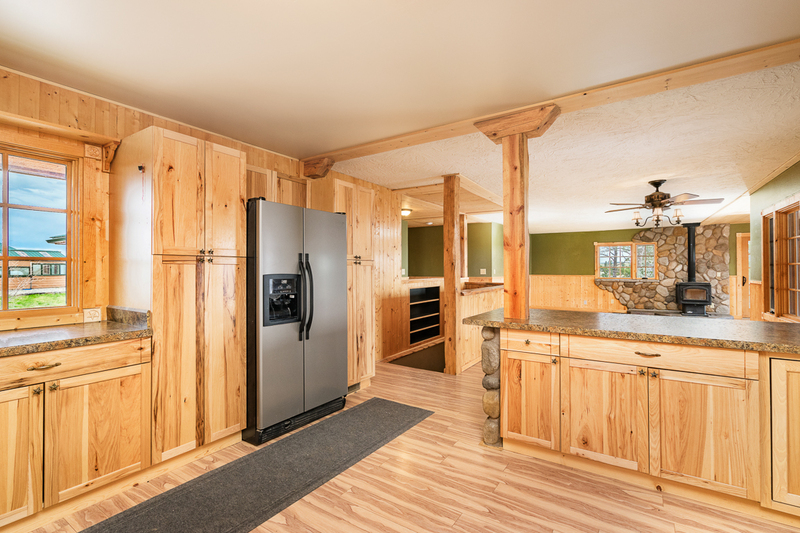 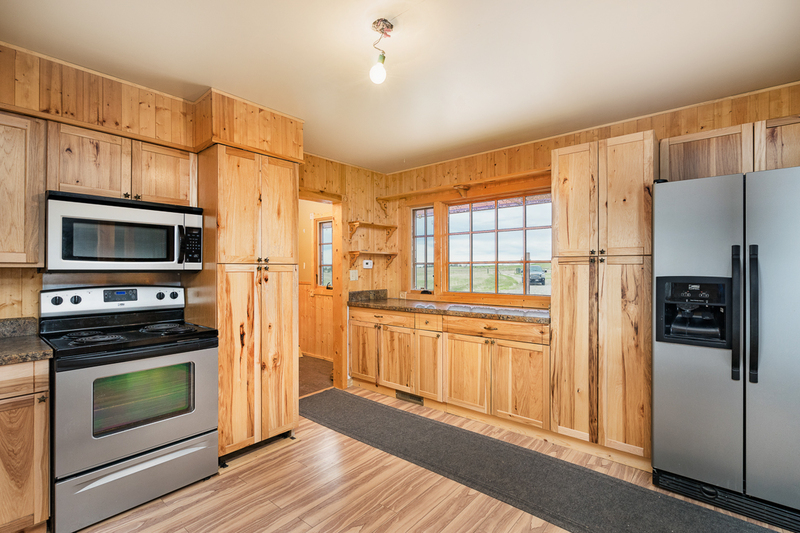 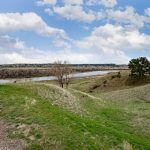 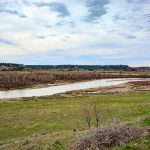 AREA FEATURES: With over a quarter mile of Yellowstone River frontage, this is only the start of the recreation opportunities within reach. 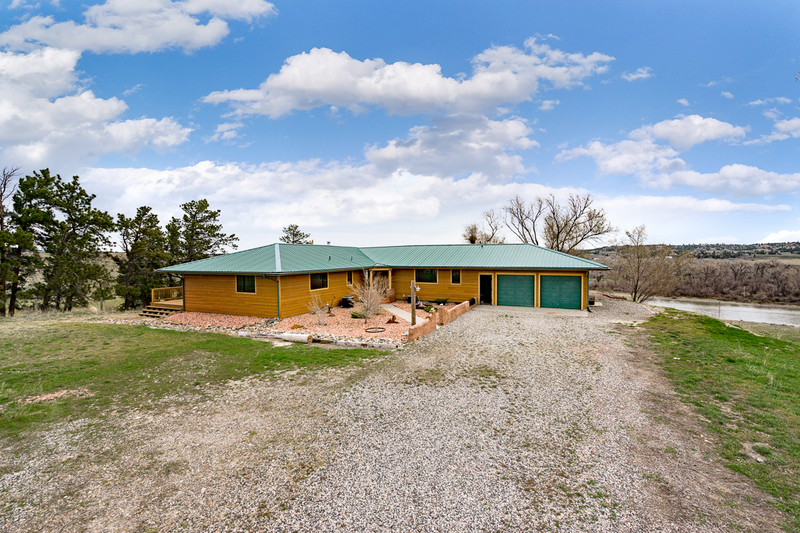 A large tract of public land lies to the north of the property with endless hunting, hiking, or horseback riding awaiting. 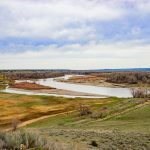 A few short miles downstream is the confluence of the Big Horn River, one of the best fly fishing rivers in the country. 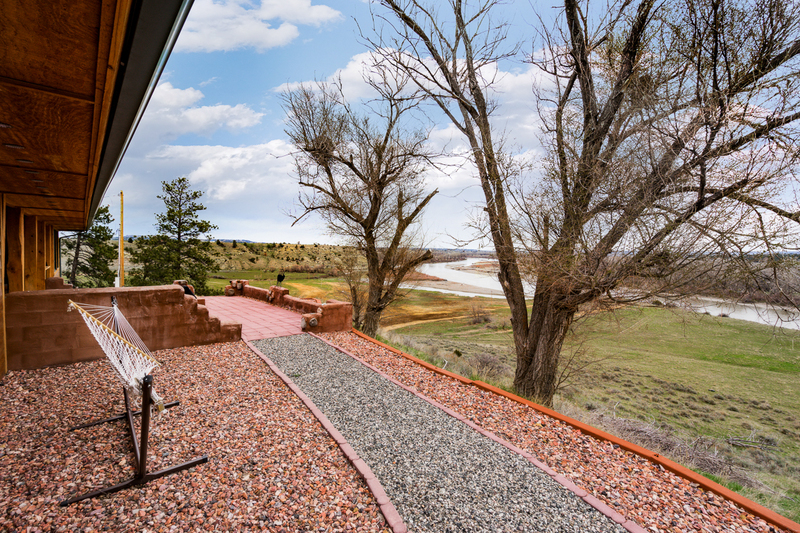 Seventy-five miles south on the Big Horn is the Yellowtail Dam and the Big Horn Lake. 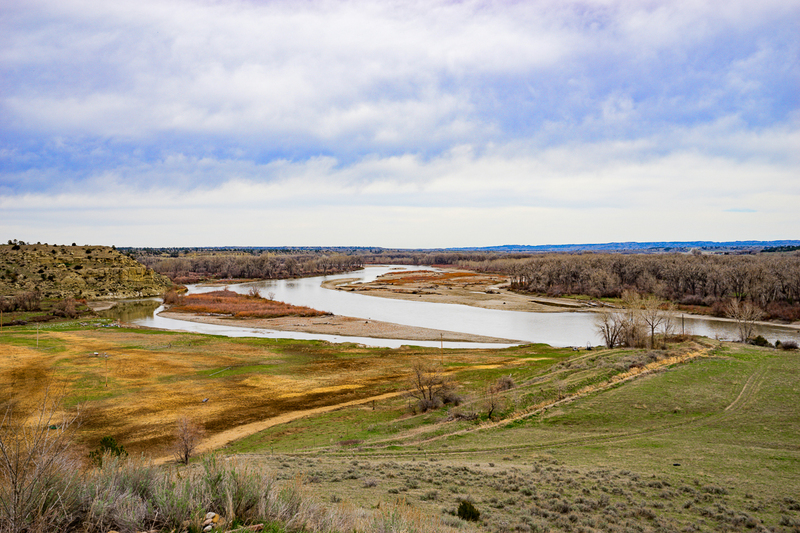 CLIMATE: Custer has a thirty year average of precipitation of 13.89 inches annually. 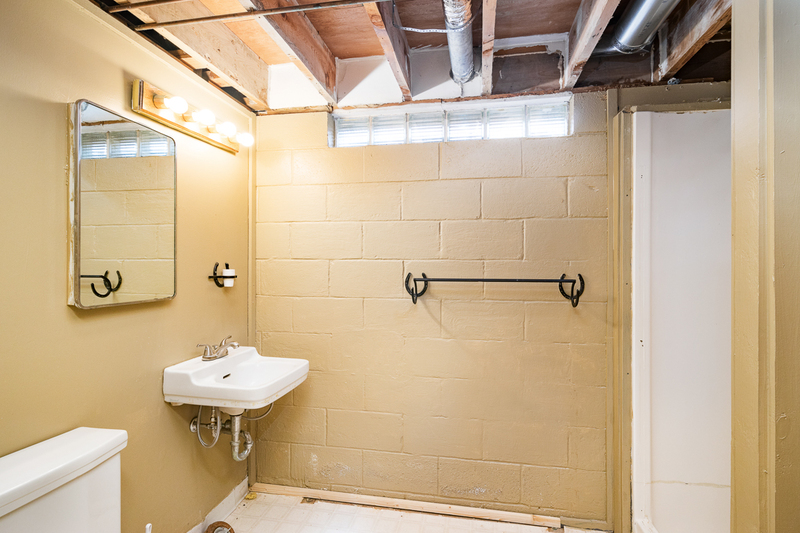 IMPROVEMENTS: 3,036 sq. 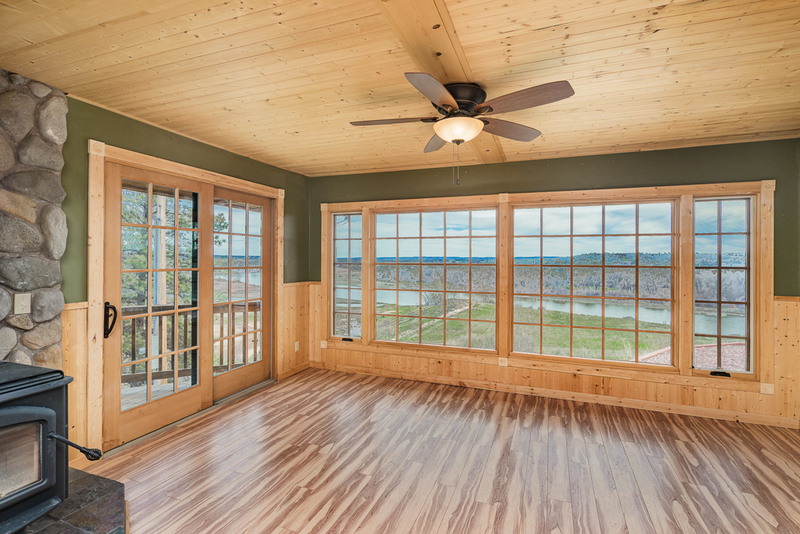 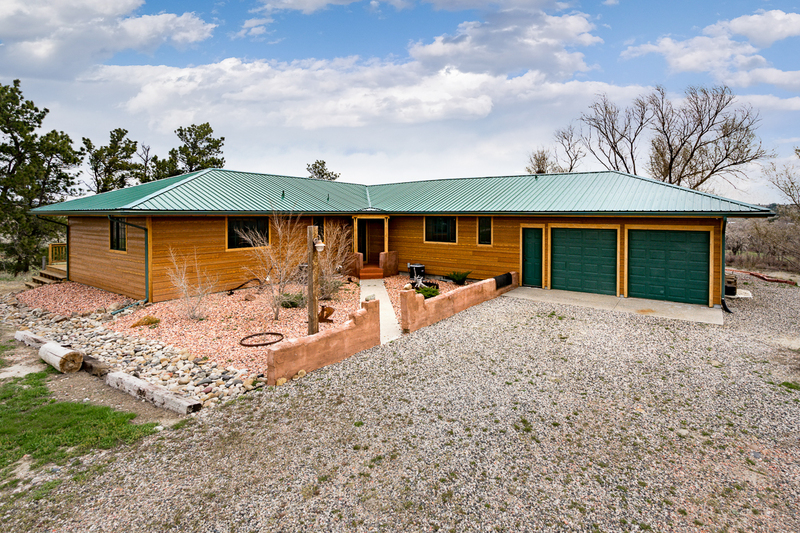 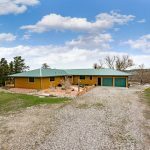 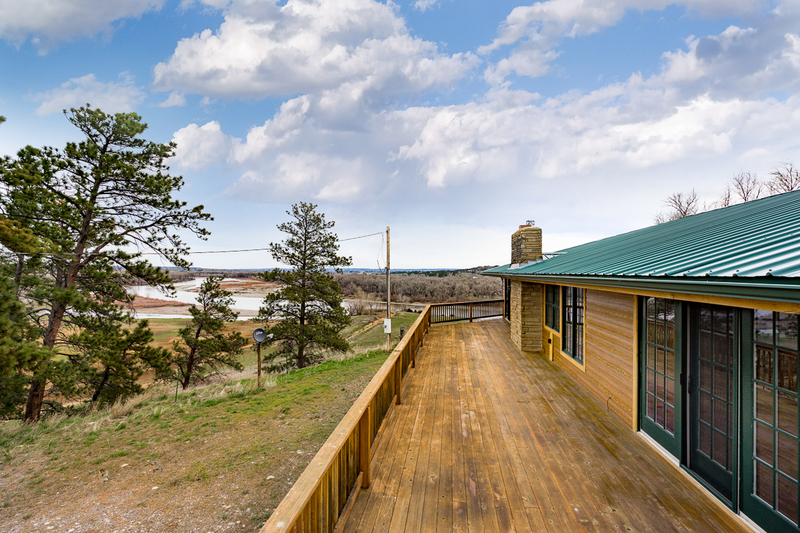 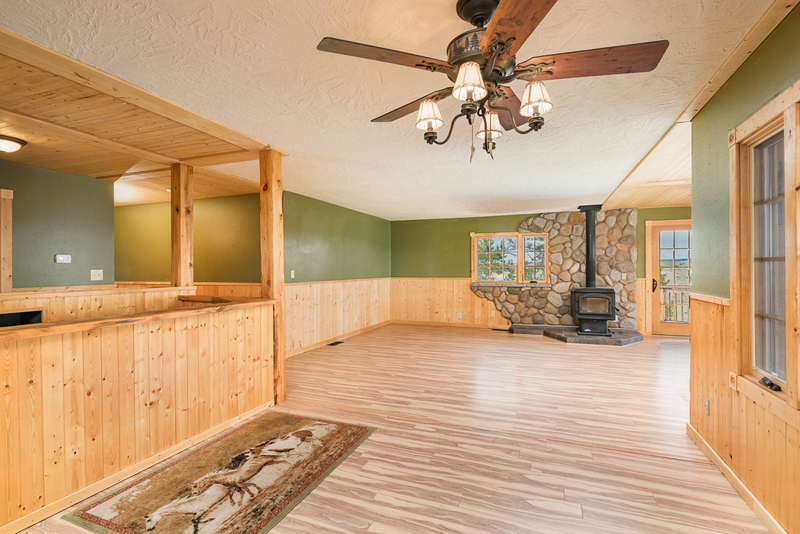 ft. ranch-style home overlooking the Yellowstone River with 4 bedrooms, 3 full baths, and a double attached garage. 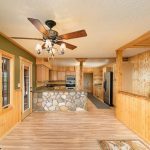 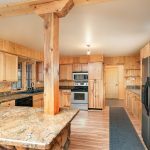 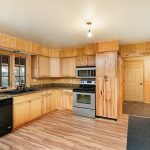 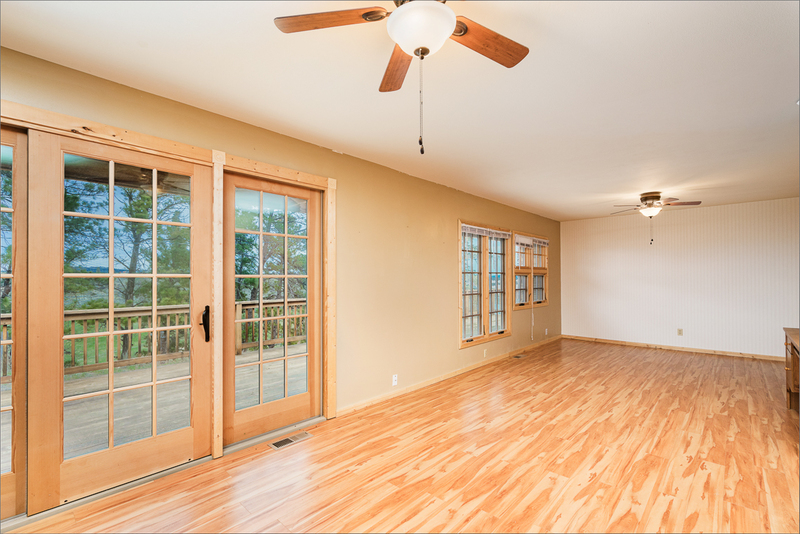 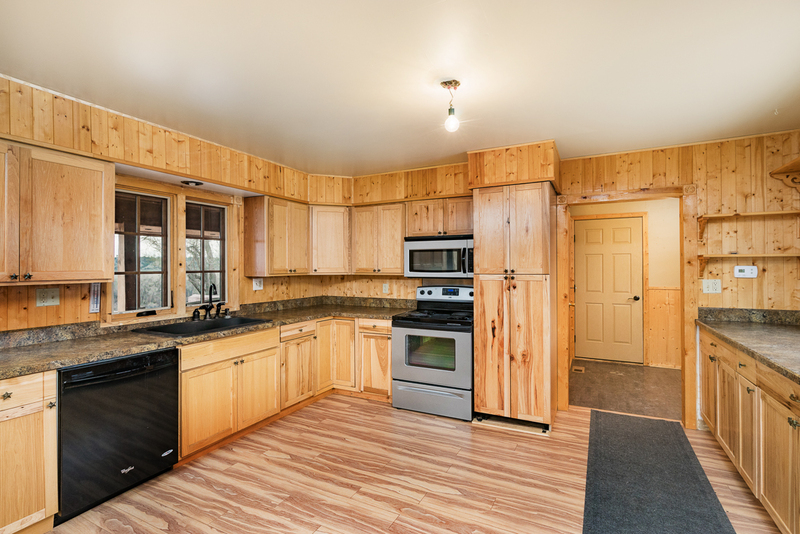 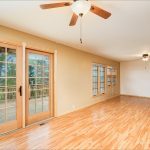 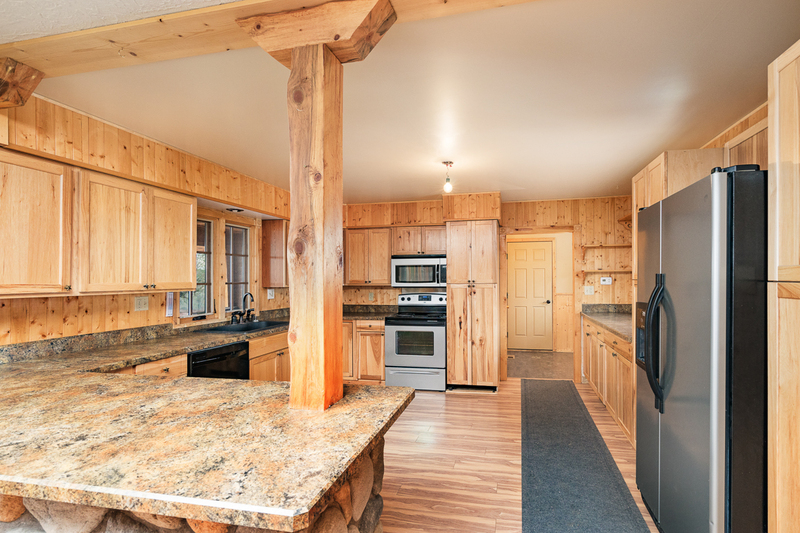 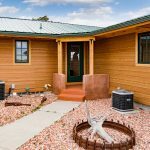 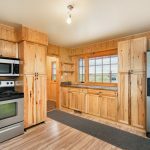 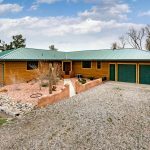 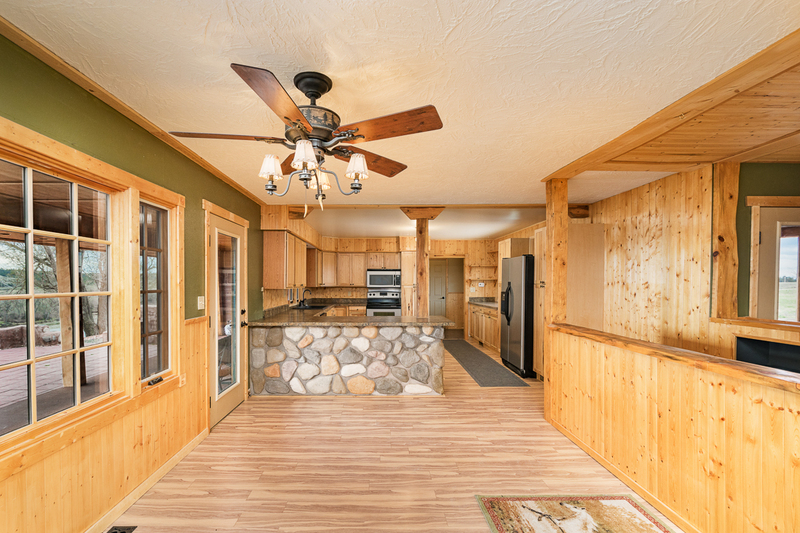 House features: Main Level – custom kitchen, dining room with covered patio access, living room with a wood stove with rock finishing, and access to the deck and patio, Master bedroom with deck access, second bedroom, and 2 full bathrooms. 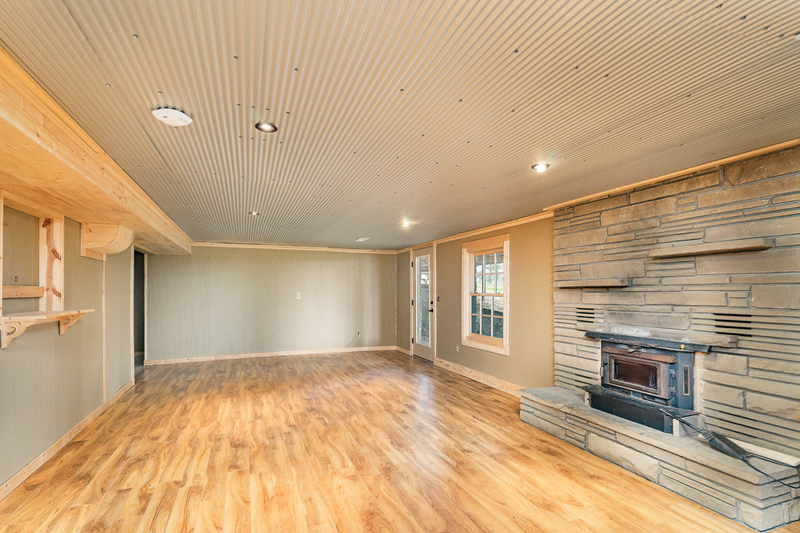 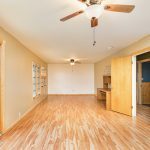 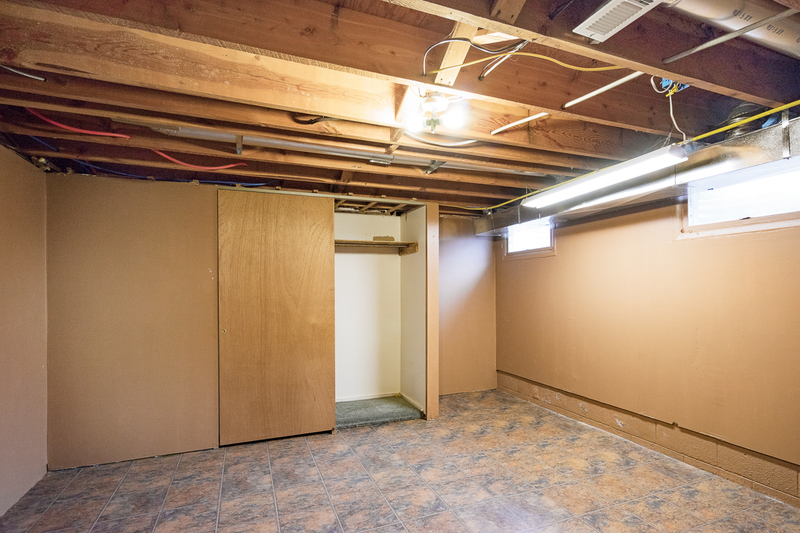 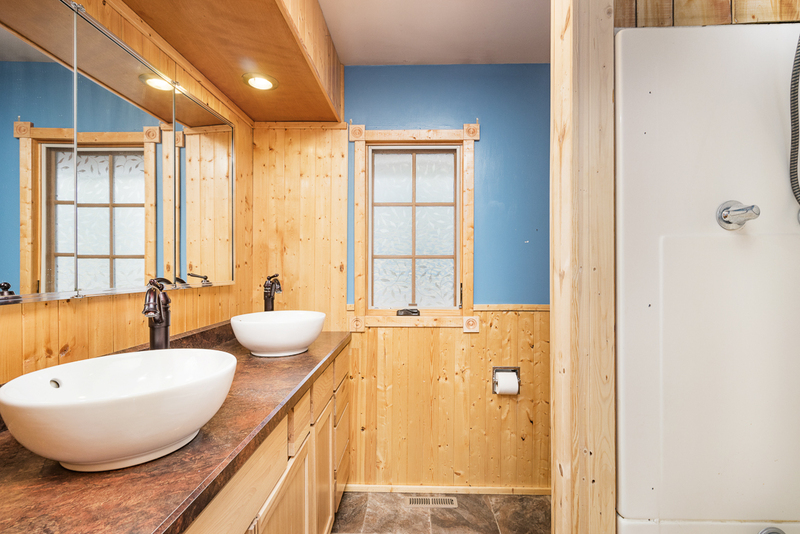 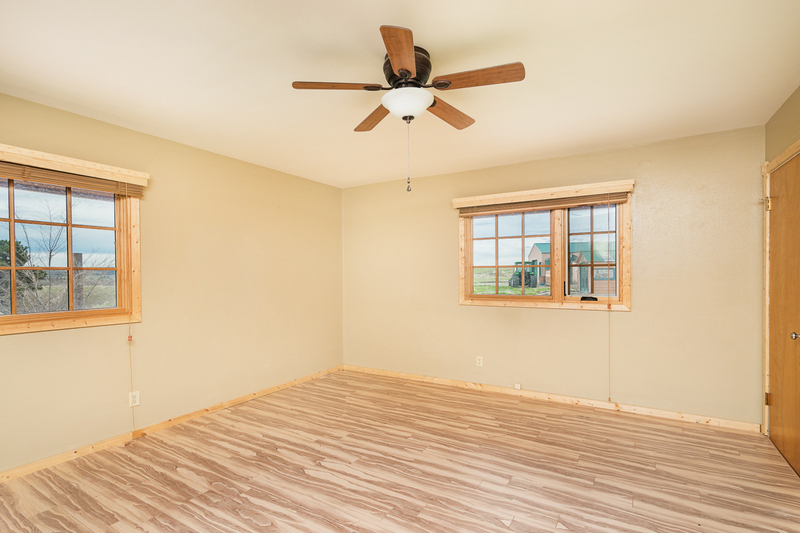 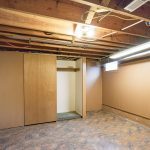 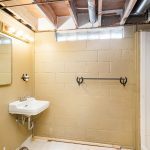 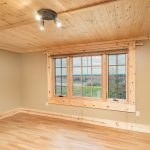 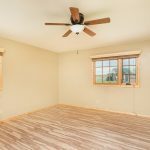 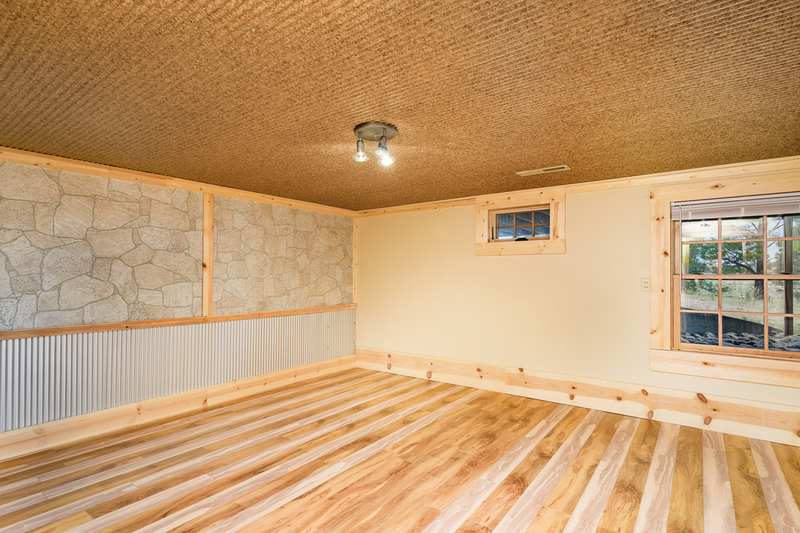 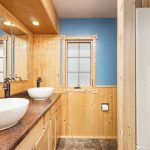 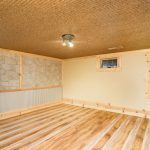 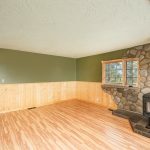 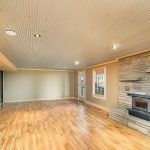 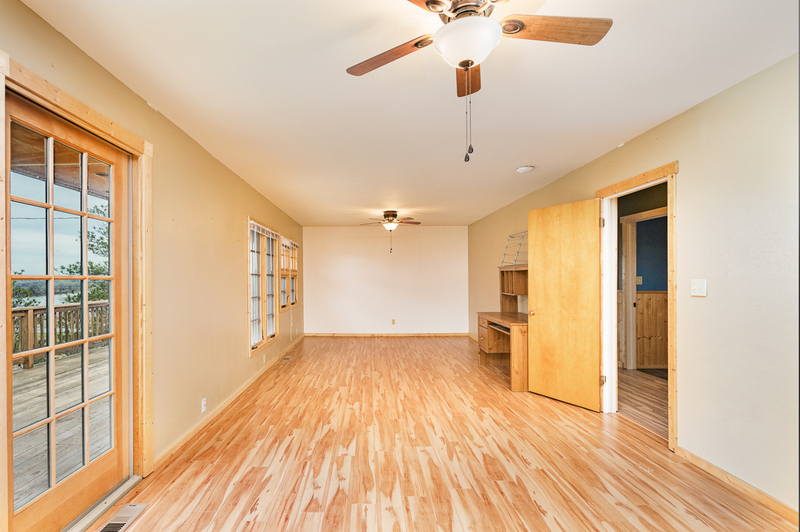 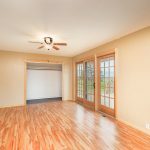 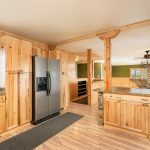 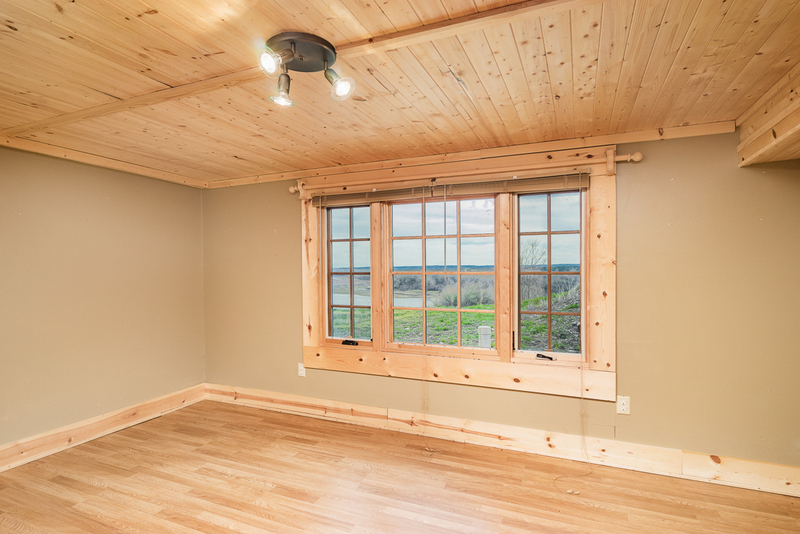 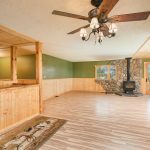 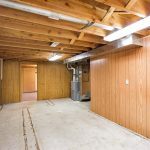 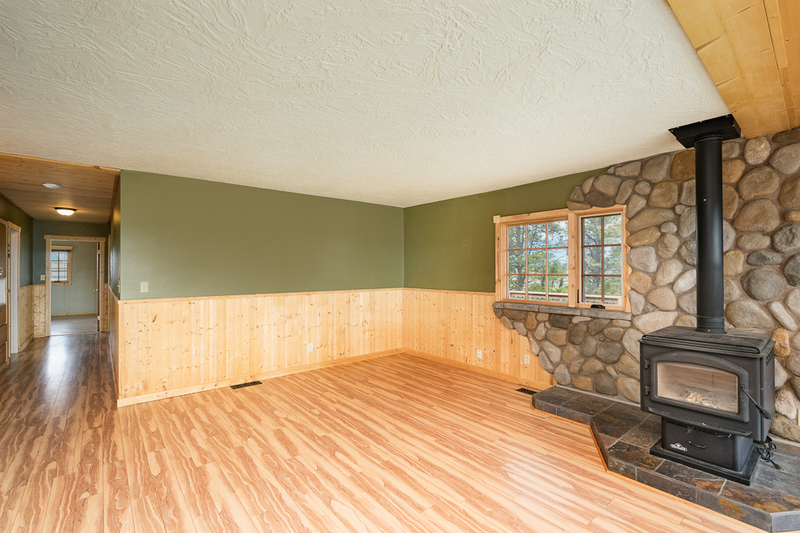 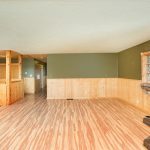 Basement: Third and fourth bedrooms, family room – daylight, walk-out, and a wood stove insert, bathroom, bonus room and storage. 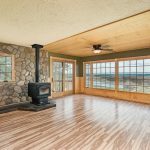 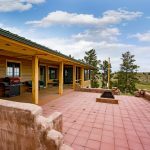 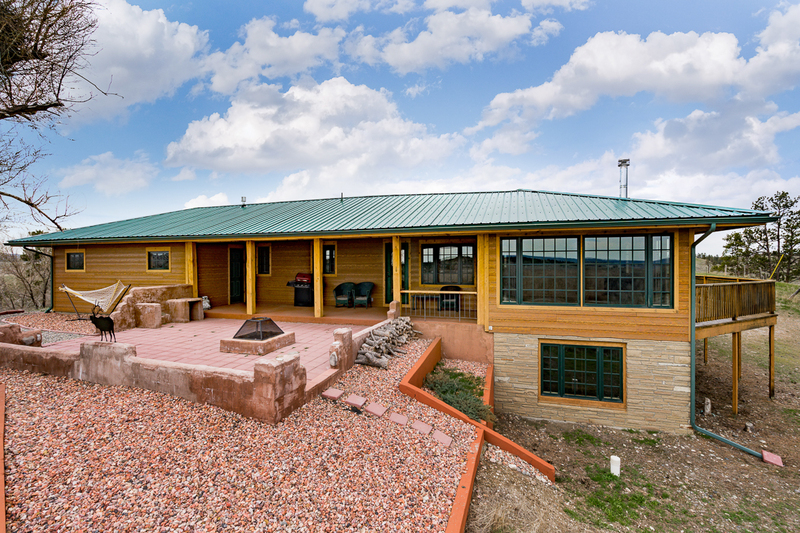 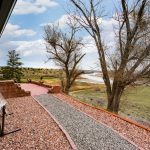 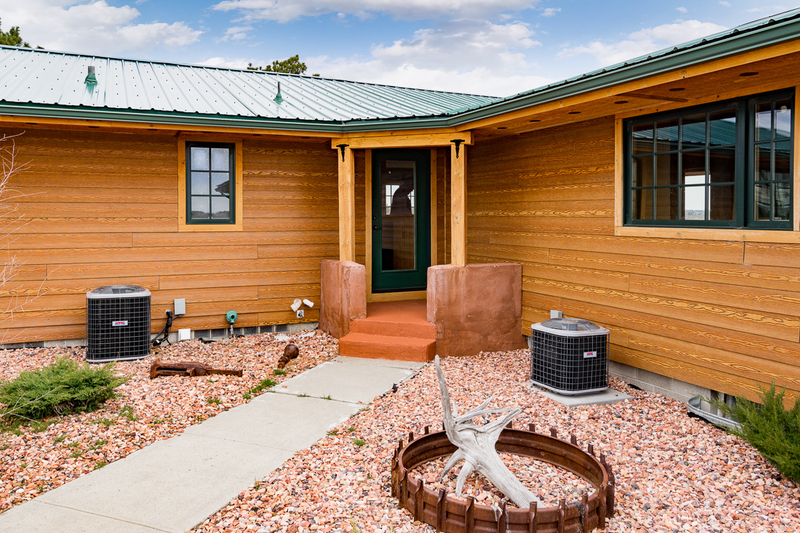 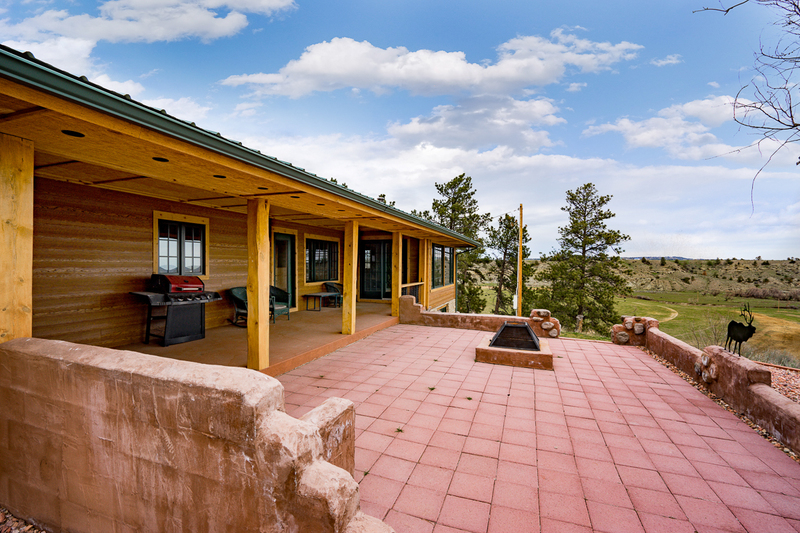 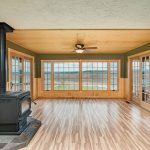 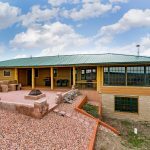 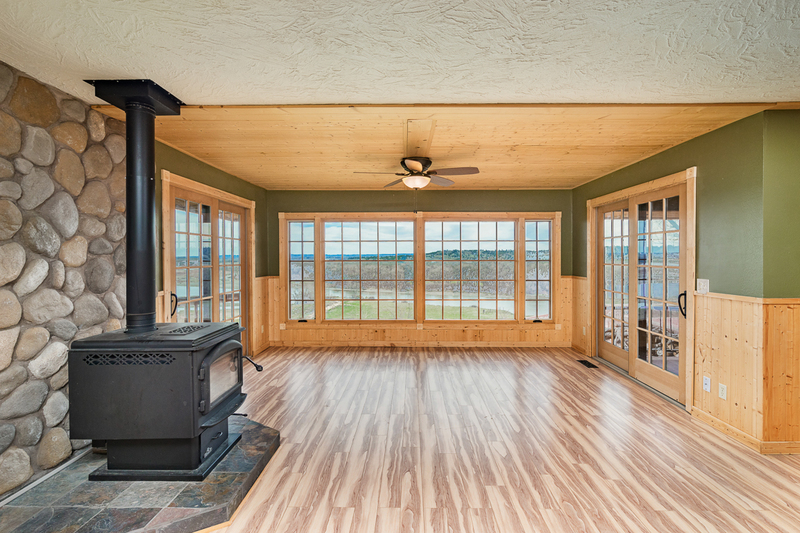 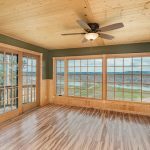 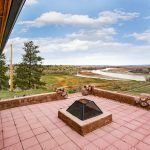 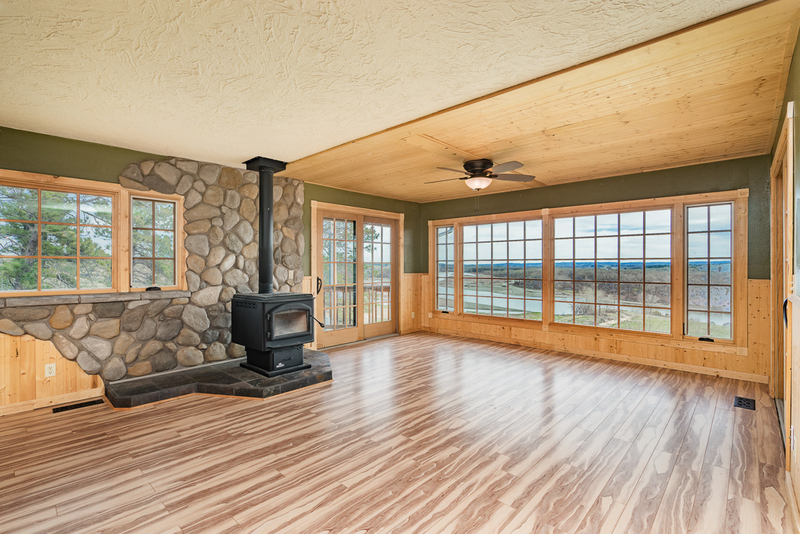 East side of house: covered patio – opens onto custom patio with fireplace and unencumbered views up and down the Yellowstone River. 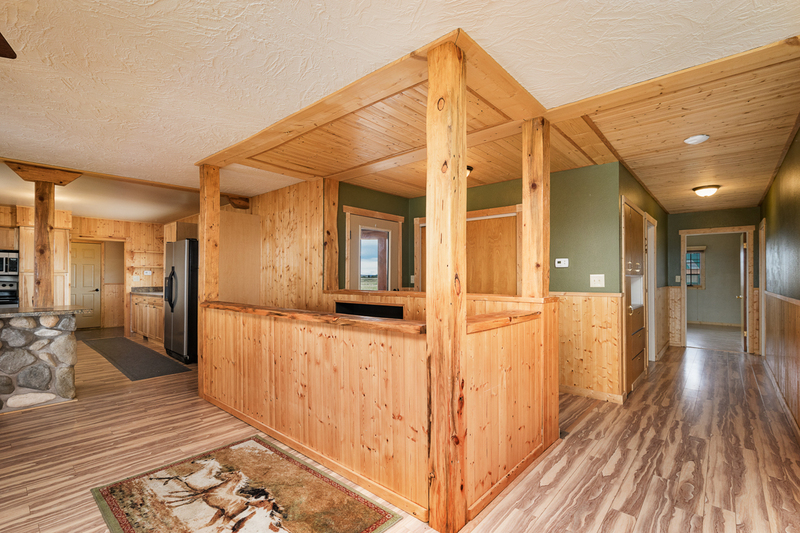 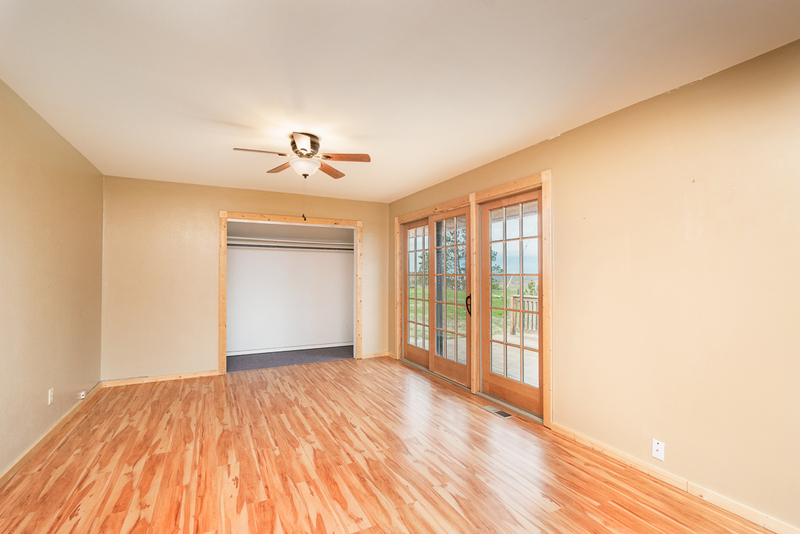 Access to the garage, dining and living rooms. 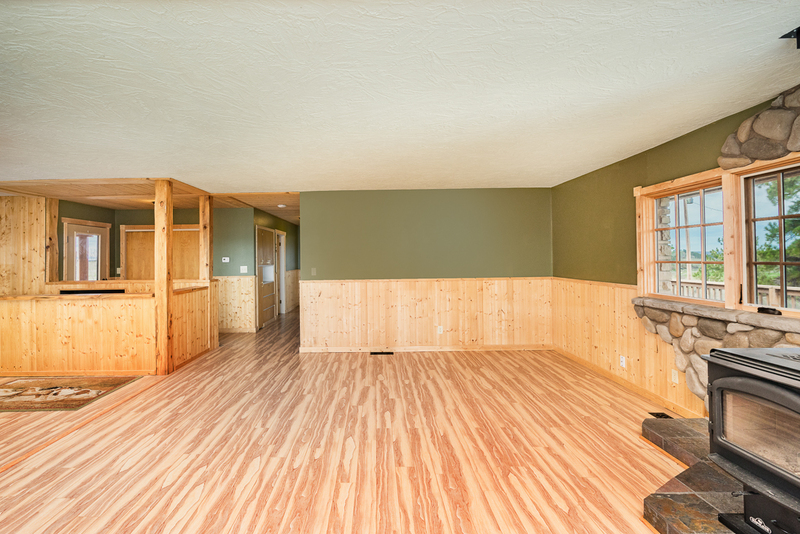 Northside deck: access to living room and master bedroom. 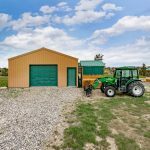 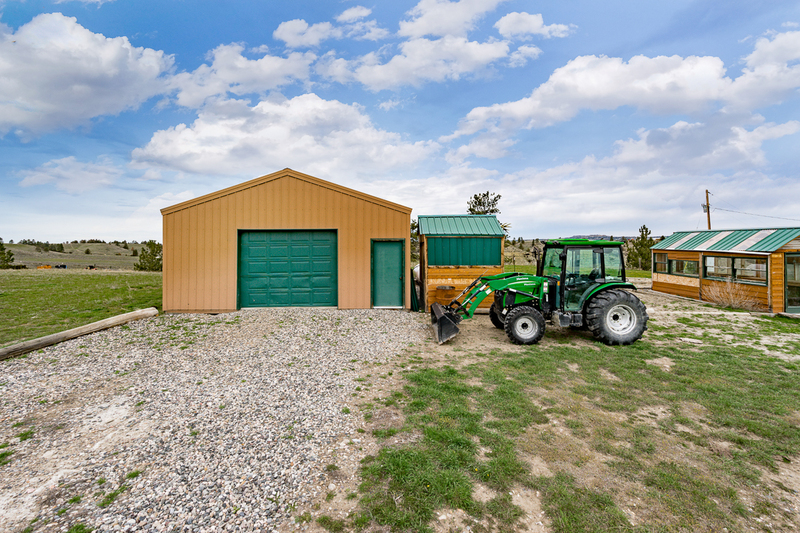 Shop: 24′ x 36′ metal sided and roof with a concrete floor and power. 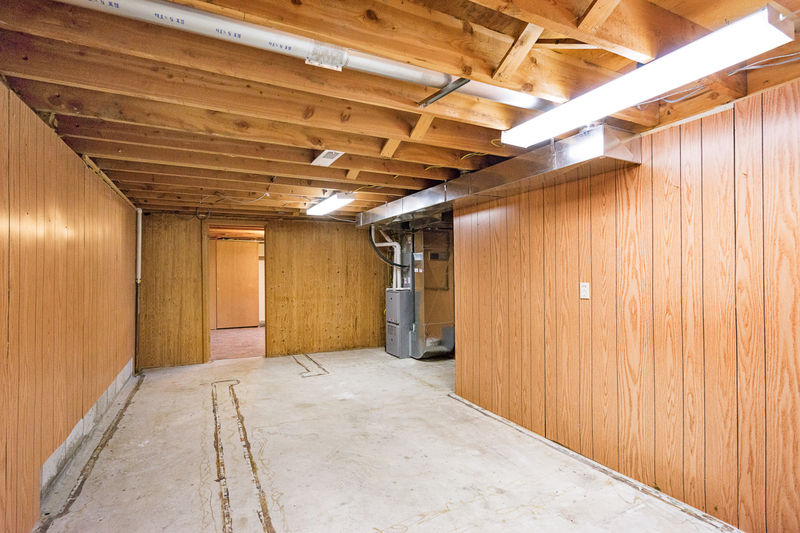 BROKER COMMENTS: This property is very PRIVATE! 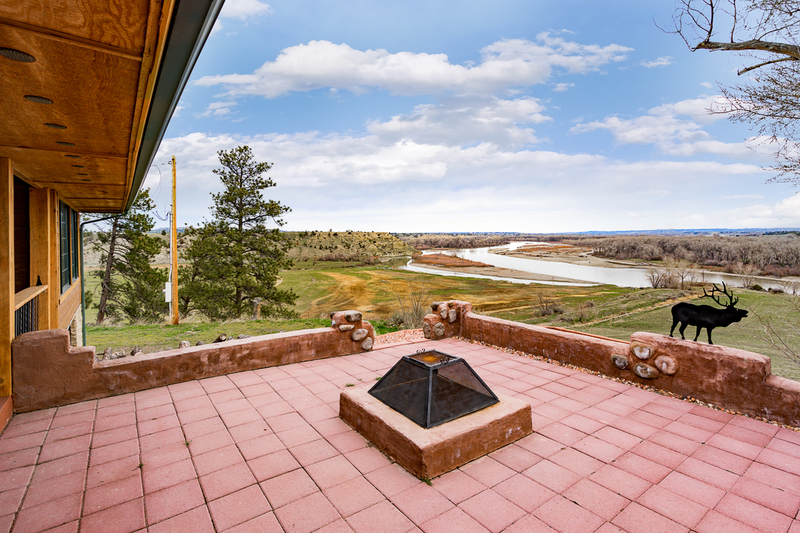 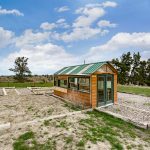 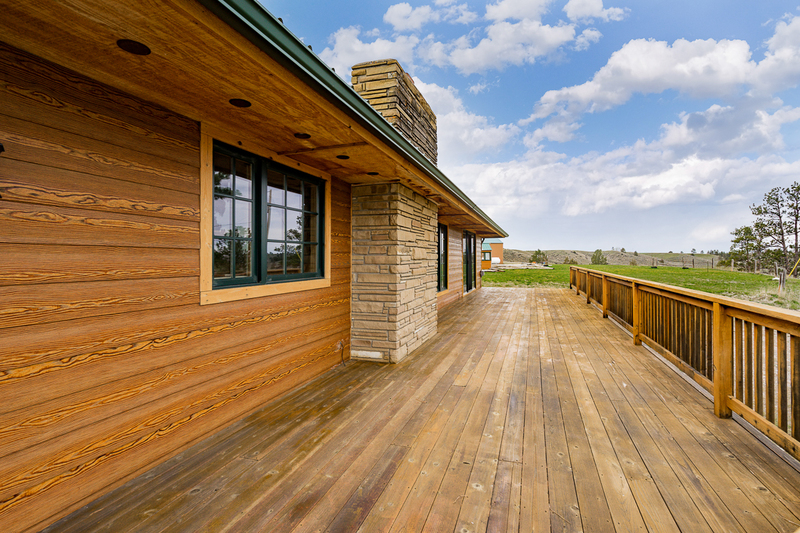 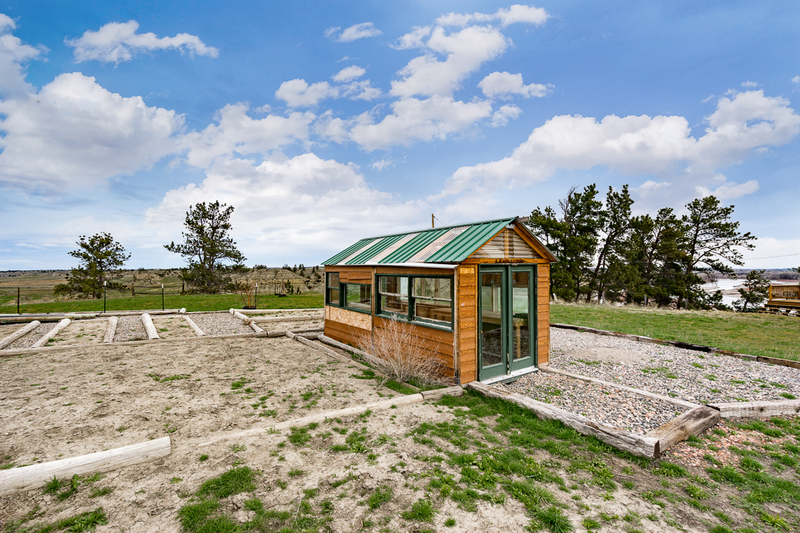 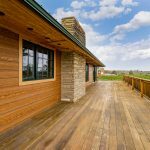 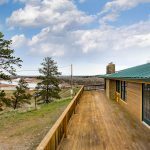 The house sits on a ridge overlooking the Yellowstone River with maintenance free landscaping and metal roof. 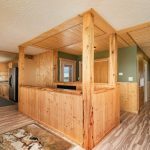 Would make a great full time or part time home or a recreation getaway with plenty of room to play.